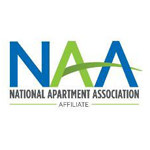 NAA and NMHC, with the assistance of Winstead PC, have just released a memorandum with guidance concerning the licensing of music used at apartment communities. The memorandum is intended to aid property owners and operators in evaluating their music licensing needs. Entitled “Public Performance Analysis for Apartment Communities: Fitness Centers and Movie Rooms,” the memorandum was written by Professor David Nimmer, who is widely regarded as a foremost expert on U.S. copyright law. Copyright law prohibits the “public performance” of songs without the copyright owner’s permission. Professor Nimmer reviewed hypothetical scenarios and based on U.S. statutes and case law, concluded that a music public performance license is not needed in certain specific situations. Those situations are outlined in the memorandum. Questions? Contact Brett Waller, Deputy Director of Government Affairs, at brett@wmfha.org.